Cnc. Danobat. Danobat-overbeck. Danobatgroup. ID-400 L. ID-400 L. Grinding. Grinder. Grinding machines. 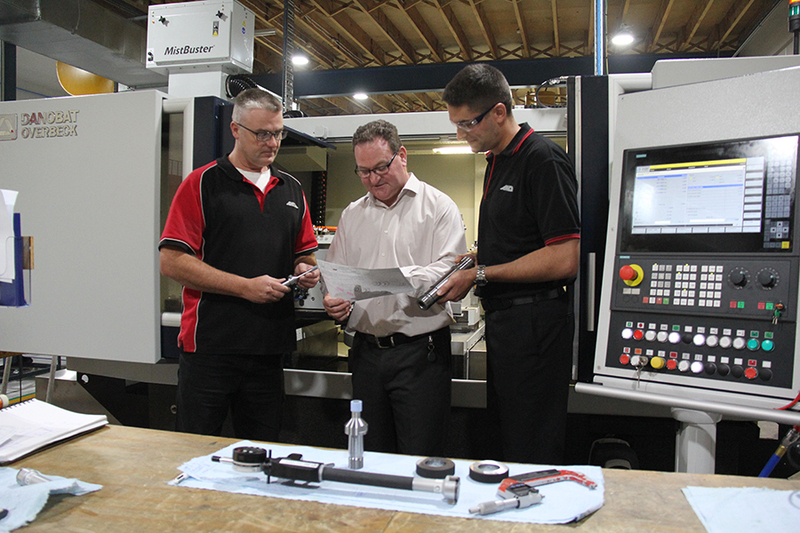 ANCA has made a significant investment in its machine shop at Melbourne, Australia to build its capabilities in process technology. A core strength of ANCA, the machine shop is a valuable centre of excellence for the company and the investment will boost the internal grinding and precision measurement capabilities. As a world leading precision CNC Grinder producer ANCA is continually striving to improve their productivity while maintaining the highest quality of their machining components. The purchase of a DANOBAT-OVERBECK ID-400L precision internal grinder provides additional capacity in the manufacture of precision rotary components. The team selected a DANOBAT-OVERBECK ID-400L internal grinding machine because it offered the longest bed, fastest axis speed, most powerful spindles and largest working envelope. Its one-piece natural granite base offers exceptional rigidity and stability benefits which is ideal for internal grinding. “We have been responding to this by investing in new equipment but also with the right partners that can support us in producing higher accuracy parts. As a team, we all worked hard to achieve some challenging tolerances and I want to give credit to all involved for delivering a greatly improved capability to ANCA.” Mark concluded.